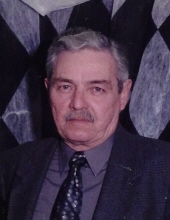 Celebrating the life of Richard D. Lawson, Sr.
Obituary for Richard D. Lawson, Sr.
Mr. Lawson was preceded in death by his wife, Patsy Lawson, a son William “Bill” Lawson, his parents Walter & Margret Lawson and a brother Robert “Bob” Lawson. Survivors are his sons and daughter-in-laws; David & Bonnie Lawson, Doug & Tara Lawson, Dan & Stephanie Lawson, grandchildren; Blair, Joshua, Randy, Taylor, Kailee and Abigail Lawson, great grandchildren; Brooklyn, Gavin, Chayce, Emmah, Lukas & Riley Lawson, a sister, Agnes Larsen, and numerous nieces, and nephews. Visitation will be Friday July 27, 2018 from 10:00am-12:00pm at Heritage Funeral Home. Services will begin at 12:00 pm in the Chapel at Heritage Funeral Home, with Rev. James Miller officiating. Pallbearers will be Josh Lawson Kevin Bouler, Bo Hunt, Richie Bourn, Eugene Brown and Ivan Ellis. Graveside services with Military Honors provided by the United States Navy, will follow at Serene Memorial Gardens in Escatawpa, MS.
To send flowers or a remembrance gift to the family of Richard D. Lawson, Sr., please visit our Tribute Store. "Email Address" would like to share the life celebration of Richard D. Lawson, Sr.. Click on the "link" to go to share a favorite memory or leave a condolence message for the family.